Hard work and science are all I have to give. The Value of Simple is a Success! Way back when I was getting ready to launch The Value of Simple, I set some definitions for success. I hit “not-failure” pretty quickly, but have only just reached “success”: I’ve made minimum wage (at least, a rounded-down amount that approximates what minimum wage was back in 2014 and ignoring all post-publication effort) on the time taken to write it! Now, it’s felt like a success for far longer than that. Seeing that it’s actually helped people invest, is getting good reviews, and seeing people wholeheartedly recommend it to their friends made the whole endeavour feel worthwhile. But I still had that first monetary definition in the back of my mind… so hitting it still feels like an added accomplishment. …But I don’t think I will go anywhere with it, at least not in the near term. Getting VoS done was a personal triumph in working hard/side hustling/project management/etc., and a personal best for productivity. But burnout is a thing. These days my inbox and to-do lists are filled with small side projects that I can’t get around to completing on time (that tax video doesn’t look like it’s going to happen before taxes are due, for example) — I’m not in a hurry to dive into a major one. Anyway, a big thanks to everyone that helped make this a success: people who bought copies, recommended it to their friends, took the time to write reviews, read beta versions, and more that I’m sure I’m forgetting! 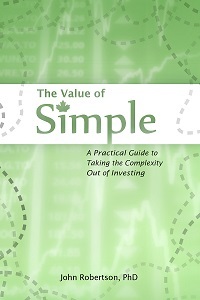 Posted in Book | Comments Off on The Value of Simple is a Success! 41498982S1 Enter this key when you sign up for a $50 bonus; I will also get $50. Questrade: use QPass 356624159378948 to receive a cash bonus for opening an account. Plus ETFs are free to buy. Justwealth: use this link to get a $50 bonus. Featuring target-date RESPs. Nest Wealth: use this link to get your first 3 months managed for free. 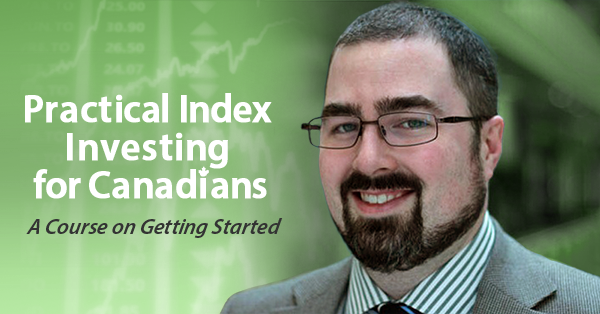 The flat-fee model works best for accounts over ~$350k. Use this link when you use Simpletax to file your taxes. Yes, it's pay-what-you-want, which is a kind of free, but if you do contribute to them, I'll get a cut of that! Blessed by the Potato is proudly powered by WordPress ♦ Entries (RSS) and Comments (RSS). ♦ 22 queries. 0.369 seconds.